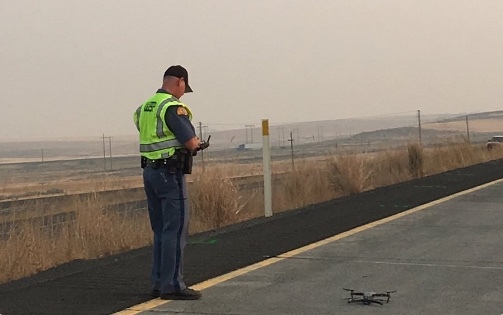 A man was killed early Thursday morning in a one car rollover crash on U.S. Highway 395 near Ritzville, according to the Washington State Patrol. Police say that the man was not wearing his seat belt when his car rolled over around 2:43 a.m. He was ejected from the vehicle. 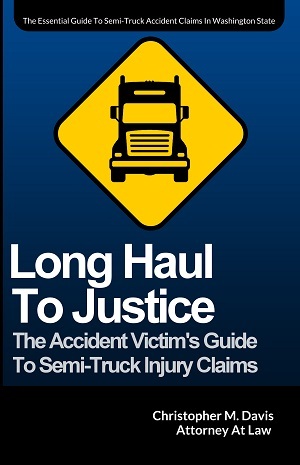 While laying in the roadway, his body was then run over by an oncoming semi truck. Police haven’t disclosed if the driver was killed by the impact of the crash or died after being hit by the passing semi. The driver of the semi truck is cooperating with investigators. The roadway was fully blocked due to the collision. Traffic was being diverted to westbound Interstate 90. Motor vehicle rollover crashes can happen for a variety of reasons. A car may hit a bump while going too fast, clip a tree stump or uneven ground, or take a turn too quickly. The Insurance Institute for Highway Safety says that most rollover deaths occur when only one vehicle is involved, and that rollovers are responsible for more than half of car accident deaths in single-vehicle crashes. Total ejection: When the entire body is thrown out of the vehicle. This usually results in severe injuries or death. The person ejected may hit their head or be struck by another vehicle. After a car accident in Washington state, don’t hesitate to schedule your free consultation with the experienced and caring lawyers at Davis Law Group, P.S. Call (206) 727-4000 to contact us today. At Davis Law Group, we have helped thousands of families like yours achieve significant verdicts and settlement offers. See how we have helped past clients; then, let us help you.